Ready, set, go with the noisy dinosaurs! Roar! Honk! The noisy world of dinosaurs is brought to life in Roar! Roar! Dinosaur. Join dinosaur favorites as they race in this fun, rhyming story. This book includes five squishy silicone dinosaur heads that make noise when pressed. 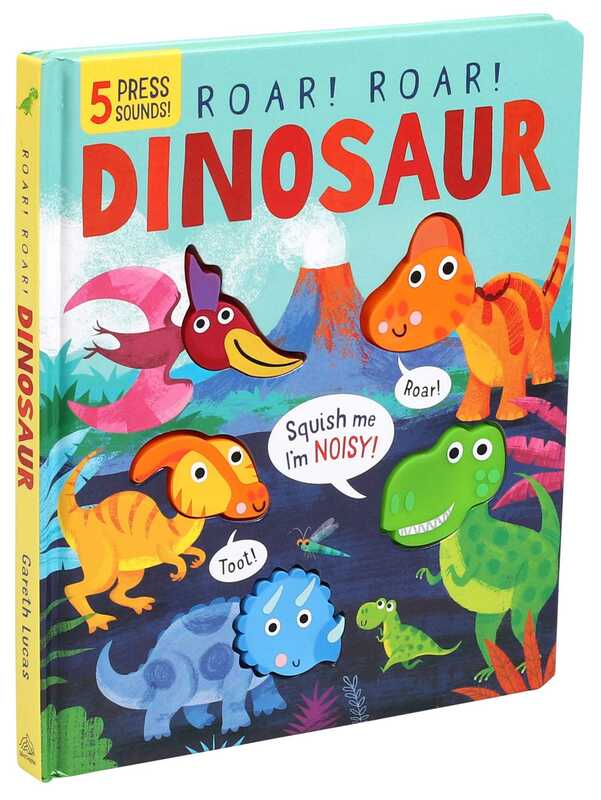 Children will love the adorable illustrations and pressing the squishy heads in this noisy dinosaur book!